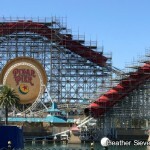 The newly reopened Blue Sky Cellar in Disney California Adventure is giving us glimpses into the future of Pixar Pier. 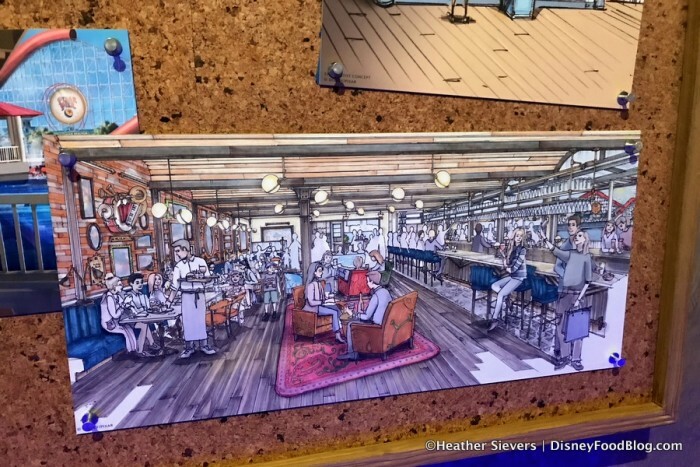 The Cellar features concept art, sketches, models, and even videos of the upcoming land, which opens on June 23rd, and includes some new concept art of Lamplight Lounge! As Heather Sievers (@diningindisney) was busy noshing on all the eats at Pixar Fest, she stopped by Blue Sky Cellar and shared photos of the concept art with us. This new lounge will replace the Cove Bar. The story behind the space is that it’s renovated from an old warehouse factory, with the wooden floor made from refinished wood boards from the factory (you’ll spot them on the ceiling, too). It seems to have kind of an artists’ studio vibe in keeping with the theme of the creative process behind the films of Pixar, celebrating “the creativity, inspirations and personalities of the artists and storytellers who have brought Pixar stories to life.” You can already spy bits of whimsy that will be tucked into the space if you look on the left wall in the rendering above, as the space will be dotted with knick knacks and even collectable toys of Pixar characters. You’ll also want to keep your eyes peeled for concept art, sketches on napkins, and the like. 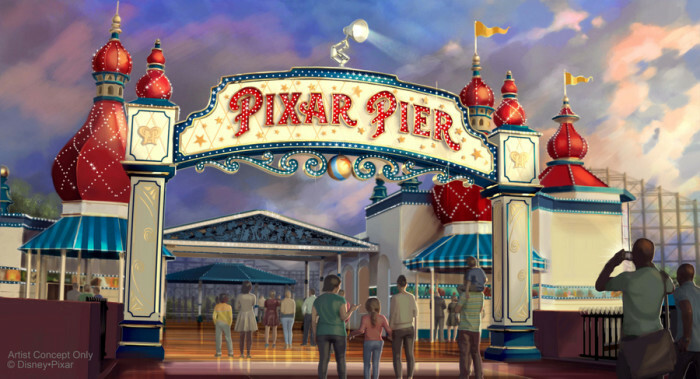 The “picturesque waterfront views” referred to on the bulletin board will feature Pixar Pier and views of the World of Color spectacular in the evenings. While the menu has yet to be revealed, you can rest assured that the Cove Bar’s beloved Lobster Nachos will be on the menu at the reimagined spot! Remember, the opening date for Lamplight Lounge is June 23rd, when it opens with the rest of Pixar Pier. 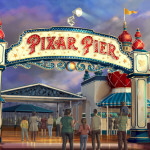 Find out all the details on Pixar Pier on our Pixar Pier page! 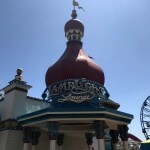 Are you excited for the opening of Lamplight Lounge? Please let us know with a comment! 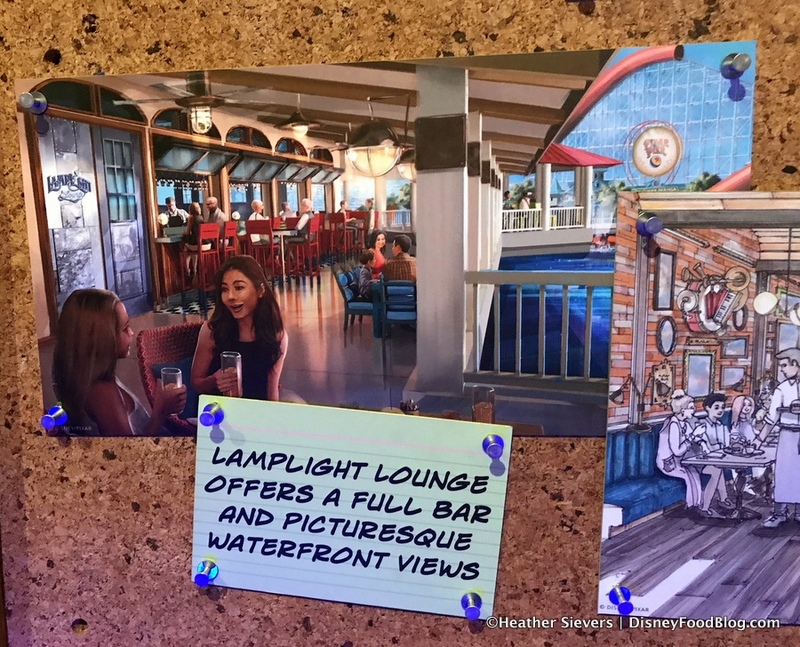 Lamplight Lounge on Pixar Pier Will Feature A Cove Bar Favorite!! I can’t think of anything more boring for children than to listen to artists drone on and on about their work. 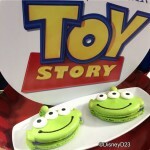 Will there be a princess dining area other than at the resorts? 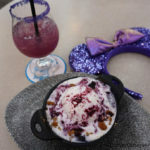 You have to leave the park and lose precious time to go to character dining. Those restaurants don’t have the princesses but goofy and chip and dale and friends. I think this was a poor decision. I heard they will have an incredible wine list!